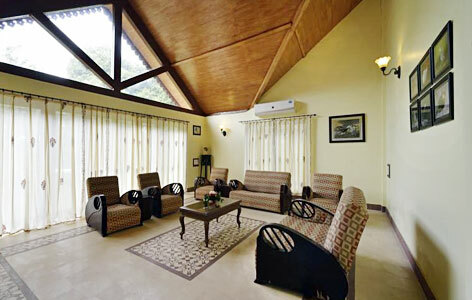 "A Home for Nature Lovers is one of the most spectacular heritage hotels in Vadodara, Gujarat. Run by the royal family, the hotel at every corner provides every bit of royal comfort that was experienced by them. In no other, the hosts would welcome one with such charm, courtesy, civility, hospitality and grace, as done in this hotel. Perhaps, this is why, the hotel has earned a massive amount of popularity in a short span of time. The palace is a residential building for the royal descendants of HH Maharana Vikramsinhji. The ancestors of the Royal Family belong to Parmar Dynasty from Dhar in Indian state of Madhya Pradesh. They came down to the princely state of Jambughoda to establish their kingdom. They showed primary concerns to the protection of their major subjects who were basically the nearby tribal communities residing in the forest. With lot of spirited and heated arguments with the Government of India, HH Maharana Vikramsinhji was able to protect the nearby forests from being cut down and now it exists as the only forest corridor in Gujarat. 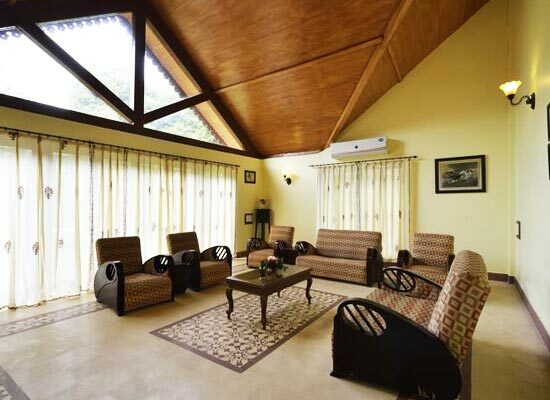 A Home for Nature Lovers, which is a popular heritage resort of India, offers 20 rooms and suites. 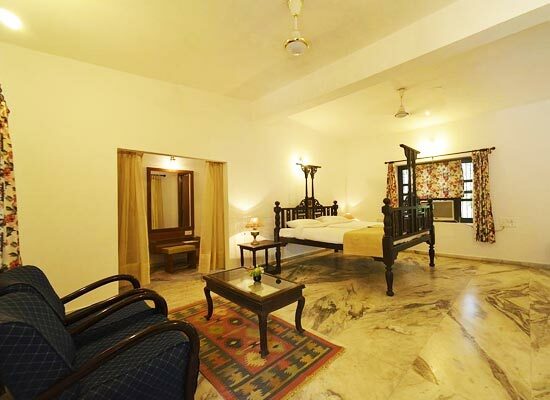 Most of the rooms are fully air-conditioned. The bathrooms are flushed with numerous welcome amenities. The furnishings and décor of the rooms are designed to narrate a different historical story of the glorious days gone by. Period furniture in every room is particularly captures everyone’s attention. All the luxurious amenities are provided in every room to take care of every requirement of the guests. 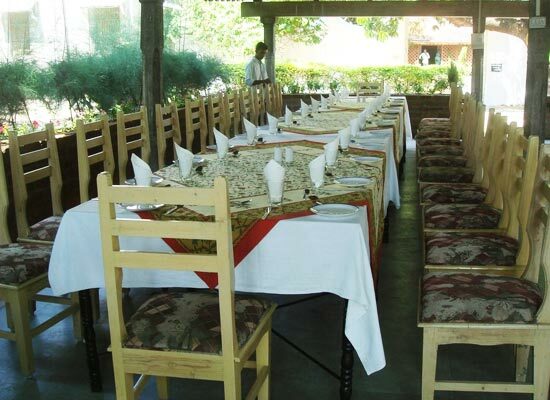 The dinner is served in this hotel in a large dining house to give an ambience of home-like family dinner. The guests enjoy delicious Continental and Indian dishes that are offered to them in here, cooked and prepared using hotel’s own organic produce of vegetables and fruits. For a lively dinner entertainment, camp-fire dinners are organized for the guests in winters. The city of Vadodara, commonly called as Baroda, is known to be the third largest city of Indian state of Gujarat. It is famous for housing Lakshmi Vilas Palace which belonged to the legendary Gaekwad dynasty of Marathas clan. Gujarat’s largest educational university, Maharaja Sayajirao University is also in Vadodara. The city has numerous industrial projects including plastics, chemicals, engineering, pharmaceuticals, Forex and petrochemicals.